CONYERS, Ga., May 11, 2010 -- GeckoSystems Intl. Corp. (PINKSHEETS: GCKO) -- reported today that they are very pleased with the impact of the recent and ongoing GCKO naked short analyses currently being performed by BUYINS.NET. GeckoSystems is a dynamic leader in the emerging mobile robotics industry revolutionizing their development and usage with "Mobile Robot Solutions for Safety, Security, and Service". 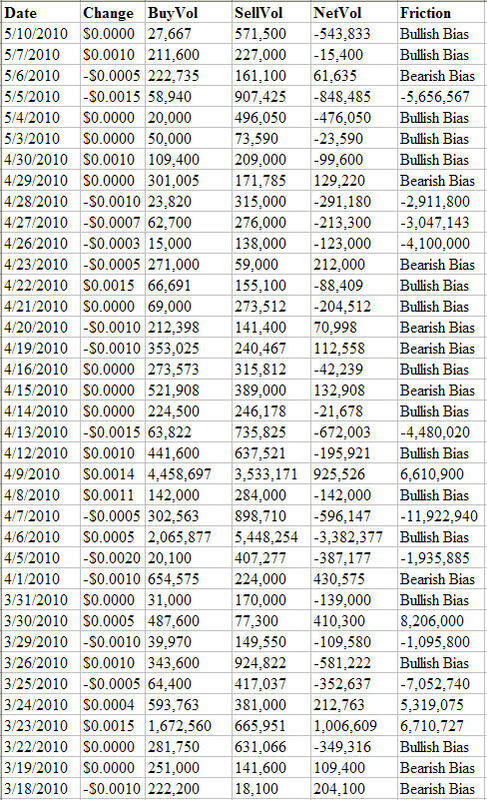 BUYINS.NET, http://www.buyins.net, a leading provider of Regulation SHO compliance monitoring, short sale trading statistics and market integrity surveillance, has updated coverage on GeckoSystems International (OTC: GCKO) after releasing the latest short sale data through May 10, 2010. 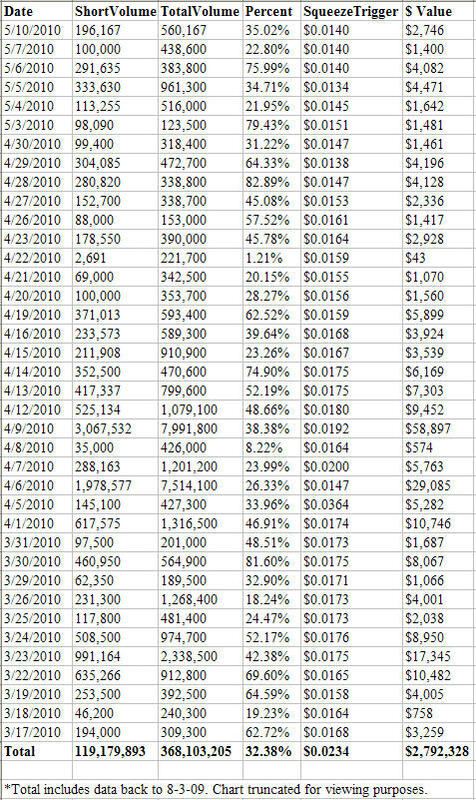 The total aggregate number of shares shorted since August 2009 is approximately 119 million shares. 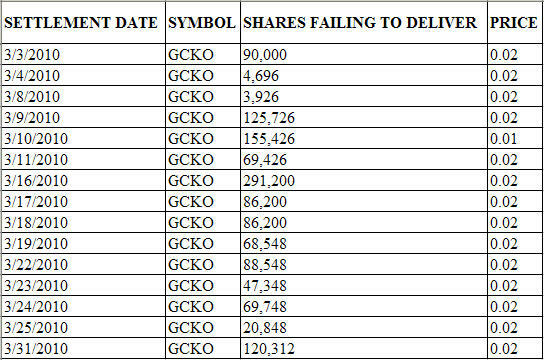 The SqueezeTrigger price for all GCKO shares shorted is $0.0234. Friction Factor is used to calculate if a fair market is being made in the shares of (Pink Sheets:GCKO). 51% of the previous 38 trading days are positive or bullishly-biased and 49% of the trading days are negative or bearishly-biased. BUYINS.NET monitors GCKO market-makers daily for compliance with Fair Market-Making Requirements. "We have worked very hard for many years to provide a high quality investment vehicle with ready liquidity and transparency for our hundreds of investors. We secured our trading symbol by satisfying FINRA's 15c-211 requirements in September of 2007. We secured DTC eligibility for electronic trading in January of 2008 and became a DRS participant in July of 2009 to further ensure and enhance that liquidity. Now, we again report results from this stock market analytic firm renowned for its demonstrable success in routinely and reliably identifying, with statistical substance, those market-makers engaged in the naked short selling of stock contrary to the SEC's Regulation SHO. "We are very pleased to continue to provide this heightened level of transparency to our present GCKO stockholders and other prospective investors. As we continue to effectuate our corporate policy of providing stockholders heightened liquidity and transparency, this provides our stockholders an enhanced view of the market's activity in GCKO trading and probable greater ease in their purchases and sales of GCKO stock. We wish to communicate to our hundreds of stockholders that this greater transparency and efficiency in the marketplace for our stock as a BUYINS.NET subscriber may further enhance the value of GCKO stock and increase ROI for them," opined Martin Spencer, President/CEO, GeckoSystems. BUYINS.NET is not a registered investment advisor and nothing contained in any materials should be construed as a recommendation to buy or sell any securities. GeckoSystems has paid no stock, directly or indirectly, but cash only, to purchase the foregoing analyses to provided in daily and monthly reports. Please visit their web site, http://www.buyins.net , for complete risks and disclosures.